Intermittent fasting is a special type of diet that’s rapidly growing in popularity and becoming the way to lose weight. Last month alone there were over 246,000 searches for the phrase ‘intermittent fasting’ on Google alone. This search volume shows how popular it’s become. Scientists and nutrition experts like it too and are saying it’s one of the best way of the future for losing and keeping weight off and new books and articles on the topic are being published daily including best selling books like ‘Eat Stop Eat’ and ‘The 8 Hour Diet’. Intermittent fasting is also popular with followers of the Paleo diet since our ancestors appear to have eaten this way for thousands of years. I’ve been following this type of diet myself for 2 years. Doing so helped me alot to lose and keep off 70 pounds without ever having to count calories, carbohydrates, or eat 6-7 meals a day. This article teaches you all about intermittent fasting and details why it is the greatest weight loss diet hack around the world. After reading it you will be able to implement into your diet and experience the benefits it offers almost immediately. As you may have figured from its name, intermittent fasting is an exclusive diet plan where you fast for a set period of time during the day. This is usually between 16-20 consecutive hours. You eat during the other 4-8 hours of the day. While fasting you can eat and drink low calorie or calorie-free foods. Think mainly coffee, tea, water, and vegetables. Following this diet plan is damm simple. All you have to do is is choose a period of time during the day that you will fast. This should be between 16-20 hours. The longer you fast each day, the better. Don’t worry about counting calories or carbohydrates. Just focus on going about your day until it’s time to eat. 1. During your fast you’ll want to drink plenty of water. Squeeze a little lemon or lime juice into your water to help get rid of any cravings you experience. You can also drink coffee, tea, or other calorie free beverages. 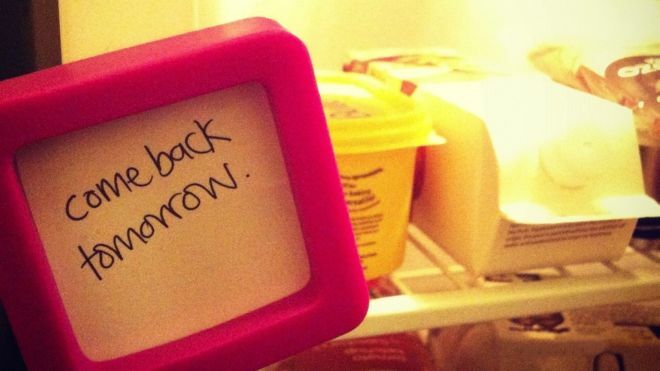 After a few weeks you will find that intermittent fasting keeps you away from craving sugar entirely. 2. If you can handle it, take in a little caffeine in the morning and early afternoon. The caffeine in coffee and tea may actually make intermittent fasting a little easier to fast since it’s good for curbing your appetite. Be careful not to overindulge as this may lead to you feeling a little too wired. I also recommend these natural energy boosting tips to keep you going during the day. 3. Avoid artificially flavored drinks. One type of calorie free drink that should be avoided are diet sodas and other beverages that use artificial sweeteners like Splenda and Sweet & Low. Studies show that the can actually stimulate your appetite like a drink that contains sugar and cause you to overeat. 4. Don’t gorge at your first meal. The first meal after your fast should be the amount of food you typically eat. Binging will only make you feel awful and diminish the benefits you get from the fast. 5. Minimize foods rich in processed carbohydrates and sugars. While intermittent fasting does make it possible to eat a little looser than normal, you should still eat as little bread, pasta, rice, etc. as possible. Another great weight loss benefit of intermittent fasting is that hunger pangs and cravings that may normally plague you throughout the day will be reduced alot, if not altogether eliminated. This is probably due to its ability to balance your insulin and blood sugar levels and, in turn help correct other hormonal imbalances. Now that you know what intermittent fasting is and how to get started, it’s time to answer your other questions. Below are answers to the questions frequently asked about intermittent fasting. These answers should help you too and make getting started a lot easier. 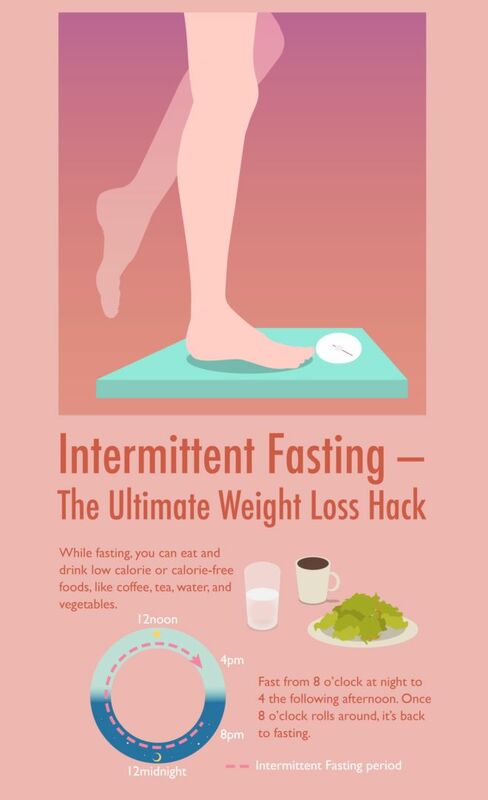 Now you know what intermittent fasting is and how it can help you lose weight quickly, safely, and pretty much effortlessly. Give it a try yourself .